Light Emission Diode (LED) lighting applications can benefit from the intelligence of an MCU. The MCU can be used for a variety of tasks, including the user interface, communication, battery status monitoring and temperature measurement. The addition of an MCU to a design does not have to be complicated, space consuming or expensive. 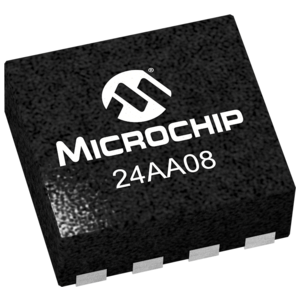 Microchip offers the PIC10F family of MCUs with devices that have 6 pins in a space saving SOT-23 or 2 x 3 mm DFN style package. The oscillator and reset circuitry are inside the device. Connect power and ground, and you still get four I/O pins that can be programmed to do anything you want. It’s as simple as that. The PIC10F pins can be used as analog or digital pins. Two devices in the PIC10F family have analog comparator modules. 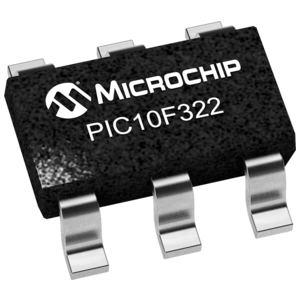 Two PIC10F devices are available with an 8-bit analog to digital converter (ADC). There are only 33 assembly instructions to learn in order to write code for the PIC10F. There are also C compilers available for the PIC10F family, if you prefer to write in a high-level language. One application for a MCU in LED lighting is brightness control. A power LED can be dimmed by reducing the drive current. However, this is not the most efficient way to control the brightness of a LED. A power LED provides the best efficiency at the maximum rated drive current. Better efficiency can be obtained by turning the LED on and off using a low frequency PWM signal. The PWM signal is connected to the enable input of the SMPS control IC. The LED is always driven at the maximum current level when it is on. The MCP1632 300 kHz Boost Converter Demo Board which takes advantage of the MCP1632 PWM Controller. 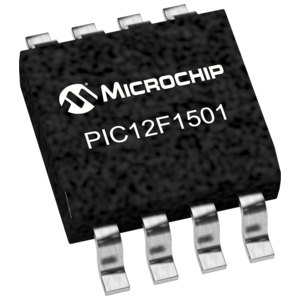 MCP1632 is a high-speed, Current Mode PWM controller intended for applications that require low-side MOSFET control, such as the Boost, Flyback or SEPIC converters. 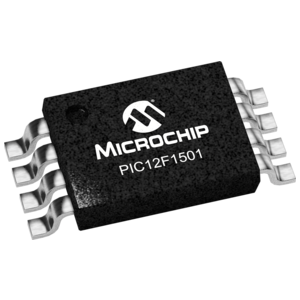 The MCP1632 converter accepts input bias voltages between 3 V and 5.5 V, ideal for DC-DC converters, LED drivers, batteries chargers, and bias generators applications. These peripherals allow external power circuits to be directly controlled by the MCU. For a LED driver application, the analog peripherals can be configured and interconnected in software to provide constant current regulation. This leaves the CPU free to run other tasks such as communication, dimming control or fault detection. The internal shunt voltage regulator option allows the MCU to be operated from a higher voltage DC bus making it useful in AC line powered applications. Only a series resistor is required between the power supply and the device VDD pin. Devices with an “HV” designator in the part number have an internal regulator. The figure below shows an application example using a PIC16HV785. The PIC16HV785 has two on-chip op amps, two on-chip comparators, two SR latch PWM modules and an adjustable voltage reference. This combination of peripherals can be digitally configured to implement a wide variety of SMPS circuit topologies to drive LEDs. The 8, 14 and 20-pin devices in the PIC12F and PIC16F families have compatible pin-outs for upward and downward migration. Common connections such as power and ground are located in the same positions on the package footprint so that an 8-pin design can easily be expanded to a 14 or 20-pin design.